Petite brunette Monika Olson (pictured above left) is an Auckland-based makeup and hair stylist and the owner of Moni Makeup, the city’s brightest new makeup school that I was lucky enough to visit last week. 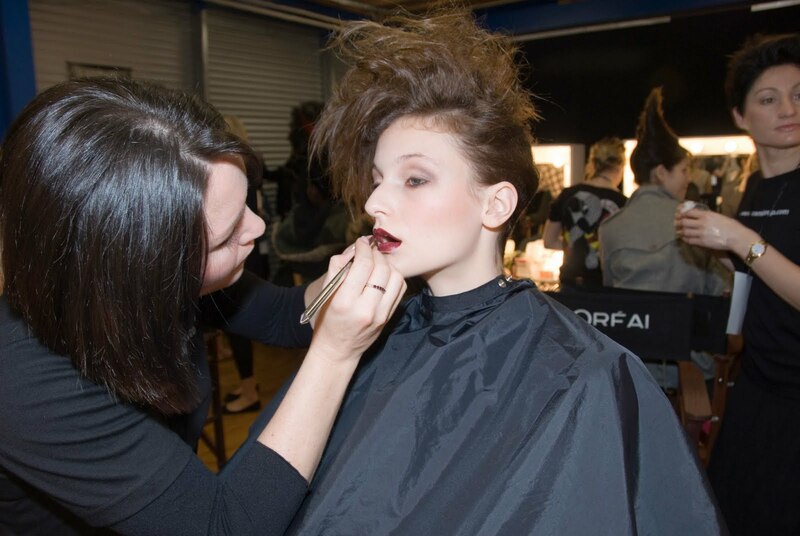 Over the past five years she’s been a successful working makeup artist, honing her skills on set at photo shoots and on advertising jobs, as well as back stage at New Zealand Fashion Week. Her passion is bodypainting and special effects, “although those jobs are sadly few and far between,” she laughs. When we spoke, the Moni Makeup School had only been open three weeks but was already mid-way through several courses catering to all ages and skin tones. These Personal Makeup Courses provide industry tricks and magic to create and maintain “your signature look”, and class sizes are small so you can feel totally comfortable with asking Monika and her guest speakers all of those tricky questions you’ve always wanted to know the answers to! WIN! I have a “Beginners to Intermediate” Personal Makeup Course at Moni Makeup to giveaway, worth $600.00. This intimate and private course teaches you how to nourish your skin, a variety of looks to suit all personal events and occasions. These short courses are designed for all ages and skin tones. Providing you the skills to get it right each and every time!